Winchester (film, 2018). A 2018 supernatural horror film with "PG-13" rating by Lionsgate/CBS Films/Lions Gate Entertainment/StudioCanal. Directed by The Spierig Brothers, Peter Spierig, Michael Spierig. Official Trailer. Winchester is a 2018 supernatural horror film directed by The Spierig Brothers, Peter Spierig and Michael Spierig. 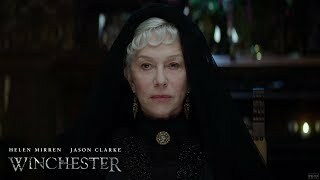 WINCHESTER - Official Trailer - HD (Helen Mirren, Jason Clarke). Sarah Winchester is the widow of famed gun manufacturer William Wirt Winchester. Her husband's sudden death and the previous death of their child Annie have left her in grief. Having received more than twenty million dollars in inheritance, Winchester convinces herself she is cursed by the ghosts of those who died at the hands of Winchester firearms. After seeking advice from a medium, she begins building an enormous, seemingly never-ending mansion in San Jose, California that would eventually be named the Winchester Mystery House. The house is under constant construction and Sarah's relative Marion Marriott lives in the house with her son Henry. At night, Henry is possessed by a mysterious entity. 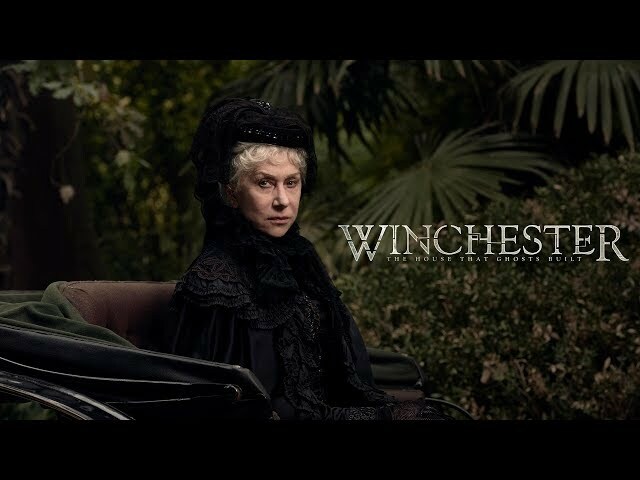 In 1906, the Winchester company hires doctor Eric Price to stay at the house and assess Sarah, believing she is mentally unfit to remain in charge of the company. Eric is grieving from the death of his wife Ruby and reliant on drugs. He arrives at the house and has a ghostly vision that he believes is a side effect of the drugs he has taken. Later, he spots a ghost in the basement and witnesses a possessed Henry jump off the roof. Eric saves him. The next day, Eric begins to conduct his assessment of Sarah's mental well-being. Sarah admits her fear of ghosts and believes she can help them move on. She reveals that she knows about Eric's drug problem and confiscates them. That night, Eric witnesses a seemingly possessed Sarah draw a plan for a new room. He is startled by an entity and flees back to his room. The next day, Sarah shows Eric that she keeps records of people killed by Winchester rifles. It is revealed that Eric had actually been shot and killed by a Winchester rifle before being revived, and he keeps the refurbished bullet with him. Sarah explains how thirteen nails keep spirits sealed in rooms. 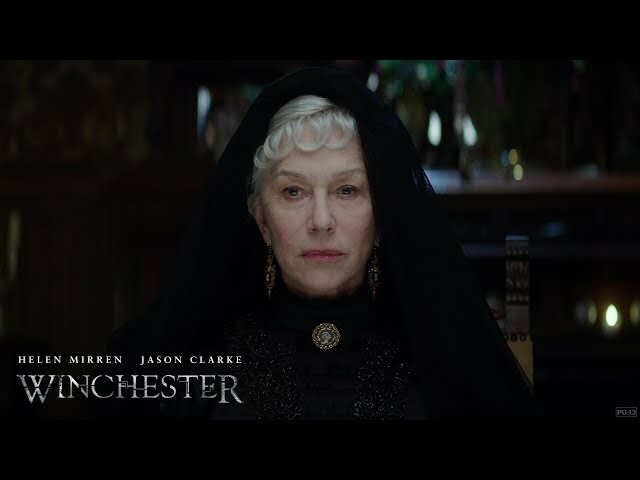 The film Winchester was scheduled to be released by Lionsgate, CBS Films, Lions Gate Entertainment and StudioCanal on February 2, 2018, on February 23, 2018 and on March 15, 2018 (Germany). The duration of the film is 99 minutes. With a budget of $3.5 million, the film grossed over $41.3 million. Winchester got low rating from critics. The audience dislikes the film either. Audiences polled by CinemaScore gave the film an average grade of "B-" on a scale ranging from A+ to F.